What’s so great about Seattle? Seattle is comprised of neighbourhood villages sprinkled like raindrops in the city’s surrounding temperate rain forests. Several of the current favourites are hardest to find on your own, like Georgetown, one of Seattle’s oldest, a former light industrial hub that resides well south of downtown. It’s also rare to happen upon Fremont, a warren of boutiques, cafés and public art, even when the Fremont Drawbridge is down. The rise of live-work-play spaces in more familiar destinations such as Capitol Hill means you now have to get the inside scoop on where inside to go. Here are some secrets about where to go and what to see when stepping merrily into the Emerald City. Also, to celebrate the new Virgin Atlantic route from Heathrow to Seattle, see the bottom of this page for a great deal on car hire for Virgin Atlantic passengers and Flying Club members. Seattle legends Pearl Jam just celebrated their 25th Anniversary Tour. 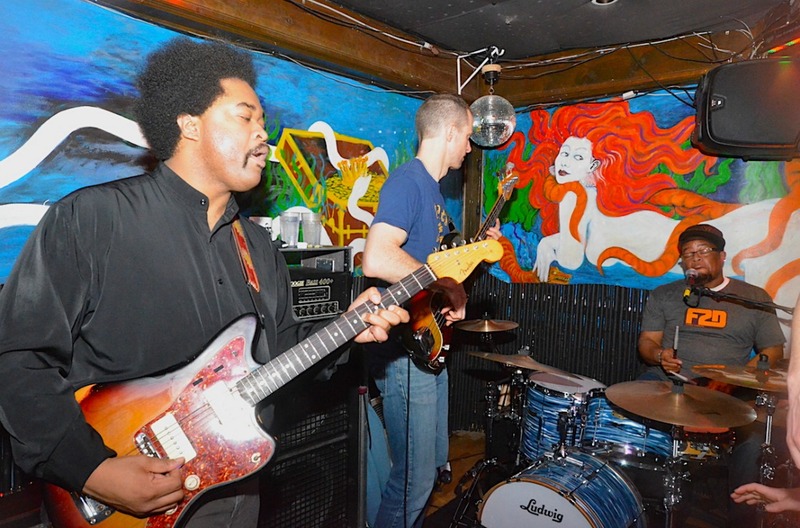 Though grunge may be hitting nostalgic chords, the Emerald City remains an incubator for Northwest musicians performing nightly in scores of out-of-the-way venues. Consider Seamonster Lounge, which stands beside a bridal shop on 45th Street in Seattle’s Wallingford neighbourhood just west of the University of Washington. With a dark entrance and barely lit awning, it’s the kind of place we walk by every day without a second thought. But come nightfall the queue spills onto the sidewalk, as the sonically-inclined wait to hear all sorts of soulful ensembles seven nights a week, including Woogie D’s house band, Funky2Death on Friday nights. The roadhouse tunes emanating from Ballard’s Tractor Tavern will transport you directly to Austin’s 6th Street. If there’s a hardscrabble, back lot band that’s made it big in the USA, chances are good they’ve taken the Tractor stage. World music access keeps getting better as anyone who watches Fremont’s Nectar Lounge calendar will attest. Located just down the street from a charging two-story Lenin, Nectar is where you’ll catch Seattle’s brightest sunsplash. It’s true, you can’t walk two blocks in Seattle without passing a coffee shop or roaster. The rumour a giant troll, so big his hand envelopes a VW Beetle, lives under the Aurora Bridge may also hold water. Fortunately, you can confirm both sightings at the corner of 34th and Troll Ave. North when you enter Milstead & Co. – considered the best coffee in town by those so in the know they’ve named their dog Mac, as in macchiato. No lie. Slate Coffee Roasters, headquartered in East Ballard, is the city’s roaster du jour. Slate’s U District café best captures the educated Bohemian persona of Seattle students and professionals alike. 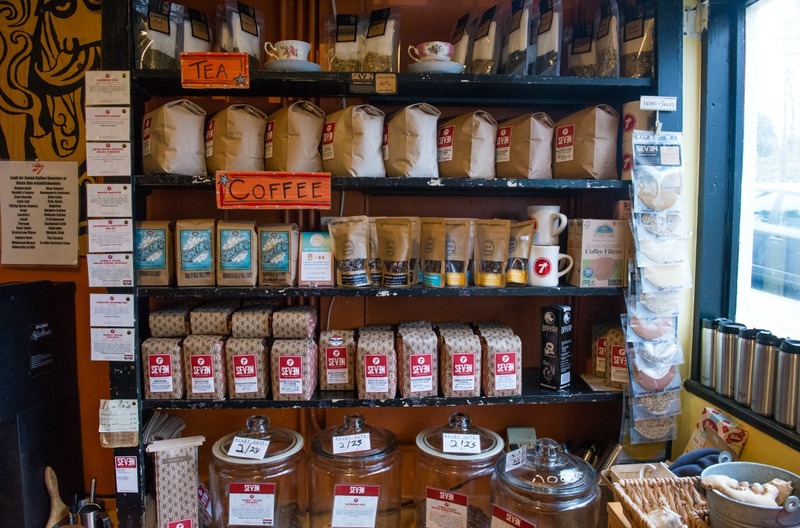 If you were looking for a hot stove debate about Seattle coffee culture you should stroll to Seven Market & Café, an urban gathering spot set on a boulevard in a 75-year mercantile building that is also, naturally, home to Seven Coffee Roasters. Pull up a wood-slatted chair and let the seminar begin because, like Milstead and Slate, the Seven Café baristas are only too happy to lead you on a coffee bean crash course. Seattle’s cocktail, part Skid Row logging aesthetic and part tech start-up creative hub mixes together into an ever evolving bar scene, a virtue of being a hip city still considered a rustic outpost by New Yorkers or San Franciscans. Hattie’s Hat didn’t have to alter the décor much when the cool kids started frequenting dive bars instead of speakeasies. The specialty cocktails feature familiar libations like gin, bourbon, and that old Washington standard, a Rainier Beer Tallboy. The gorgeous back bar looks like it’s been there forever because, given Hattie’s 1904 establishment and Seattle’s 1851 founding, it pretty much has. The original Rainier Brewery, opened in 1901, resides across town in Georgetown, over the street from Brass Tacks, a room that perfectly fits the neighbourhood’s industrial charm. A jazz trio sets up most evenings and a DJ spins over brunch on Sundays. Live theatre and musical revues also spring forth from time to time. Seasoned bartenders match the wall-shaking flights that descend onto Boeing Field down the block with fanciful flights from Seattle’s Westland Distillery, Frankfort Kentucky’s Buffalo Trace Experiential and Michter’s of Louisville, among other celebrity whisky mashers. A bar crawl through Georgetown is required cruising to claim a portion of Seattle’s hip quotient. 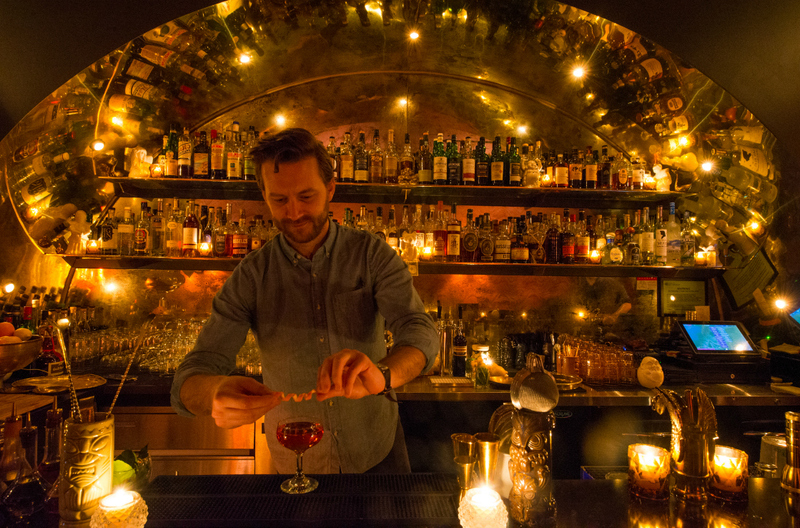 Capitol Hill has long claimed the nightlife crown, the Pike-Pine Corridor erupts every weekend, but hidden among the hot dog carts is a non-descript door that opens into Foreign National, a tiny 30-seat cove. The slowly rotating disco ball suggests you’re in for the most retro of evenings. Lower and Upper Bar Ferdinand reside in Capitol Hill in two of Seattle’s most recent aesthetic arcade settings, Melrose Market and Chophouse Row respectively. Using a passive heat masonry smoker and open fireplace, chef and restaurateur Matt Dillon can be found in his Upper kitchen most evenings, a testament to how much fun it is to cook, and thus to eat and drink, here. Yes, it pours often in Seattle, best experienced for the fortunate among us, at a Bar Ferdinand Bottle Shop. 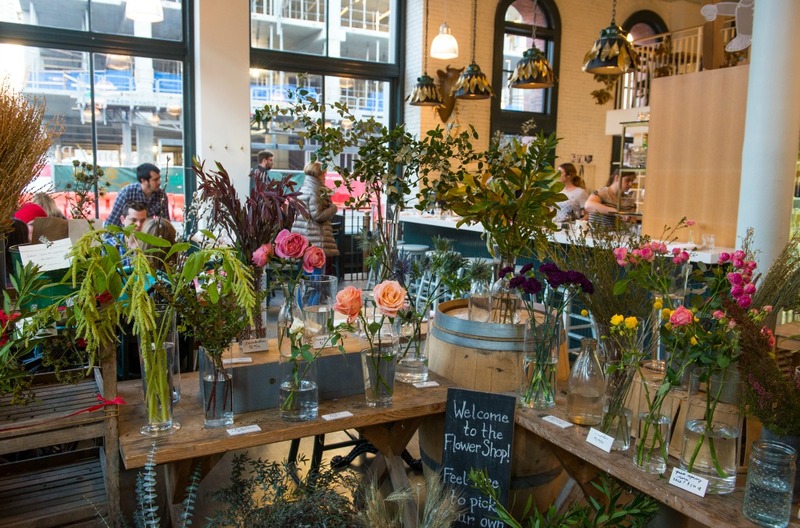 The London Plane gazes out onto Occidental Square with cuisine as fresh as the whitewashed walls and fresh cut flowers in the onsite flower stall. The menu, purveying rabbit sugo and cider braised pork cheek, has put a spring back in Pioneer Square’s step. Fremont’s Eve also opens breathlessly from behind floor to ceiling windows, presenting a vista of “Waiting for the Interurban”, Seattle’s most famous sculpture. Joyful conversation rises toward cathedral ceilings on the scent of BBQ Dungeness crab, smoked tofu and chicken barley bowl, among other Pacific Northwest comforts.